Sometimes, moments are so vivid they capture the essence of what it means to have a soul, what it means to be human. If you’re like me, most of these moments involve food. 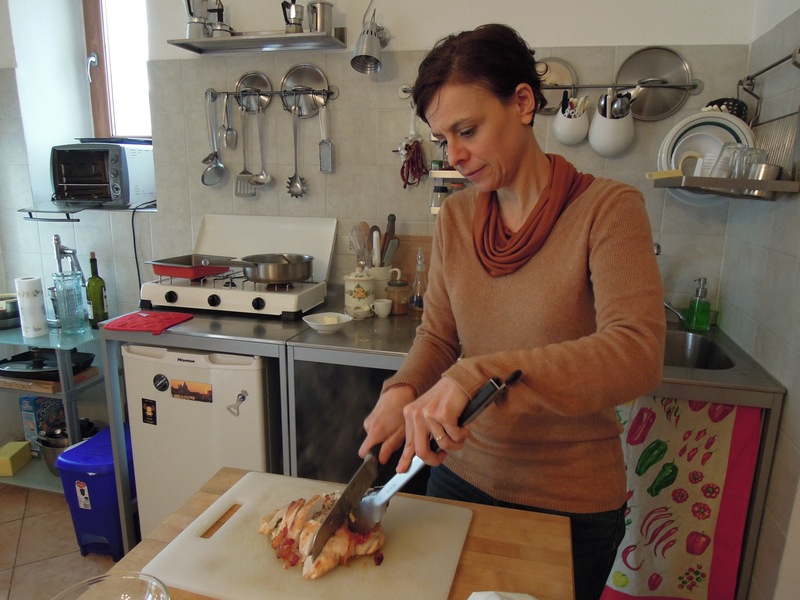 Especially when traveling, a meal can offer insight into the region and its people. A meal can completely alter a person’s mood. When I travel I try to order foods that are local, particularly if they have a regional dish or drink. Most of the time this simply means ordering meals I don’t usually see on menus in Ohio – which can be tricky because menus in Ohio are pretty vast. When remembering specific past meals, many make me smile or help recall where I went before or after I ate. There are a few, however, that leap from my memory. I can pinpoint four meals with startling accuracy in time and space, which have left an imprint on my soul. My flow-y skirt and I with our French friend. First, there was the meal in a Provençal town whose name I don’t remember cooked by a man who was both very much like Santa Clause and incredibly intimidating to my 14 year old self. I was stuck between “I’m pretty sure Harry Potter is real” and trying very hard to impress the French with my suaveness and chic flow-y skirt. That’s my nose. That’s the garden where we ate. That’s real. The dessert during this meal was such that the layers of goat cheese, marinated peach, with a scoop of lavender ice cream, still sing their fragrant song on my palette. 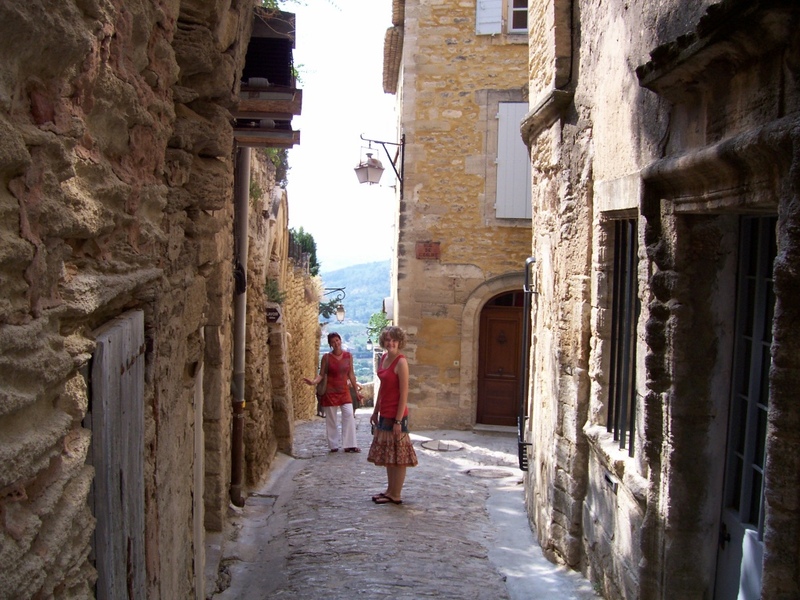 It was a most stereotypical experience in Southern France, complete with outdoor dining in a shady garden, a soup with a tiny octopus in it (I was terrified French Santa would chastise me for not eating it), and fields of lavender all around. It was magnificent. 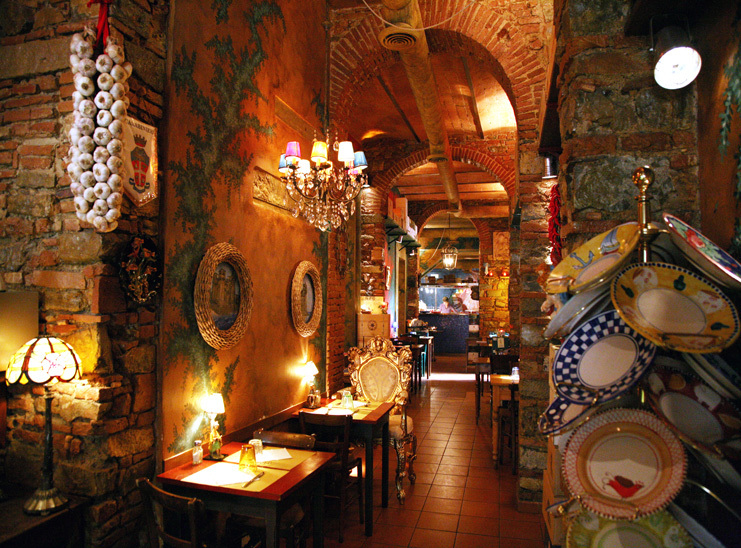 Photo of Nerone’s interior from their website. Fast forward some six years and I’m studying abroad in Florence, Italy with a stunningly clever chef’s daughter for a roommate. I believe it was Austa who first discovered Nerone, a deceptively large restaurant on Via Faenza, just a few blocks away from our apartment. With a dark and mysterious interior like a cave, each table is accompanied by an eclectic assortment of throne-like chairs and benches, some covered in fuchsia animal print. Meals are served in heaping portions on mis-matched plates. A pitcher of house wine is about 8 euro. Birthday dinner at Nerone’s for Austa or Carolyn or probably just because. 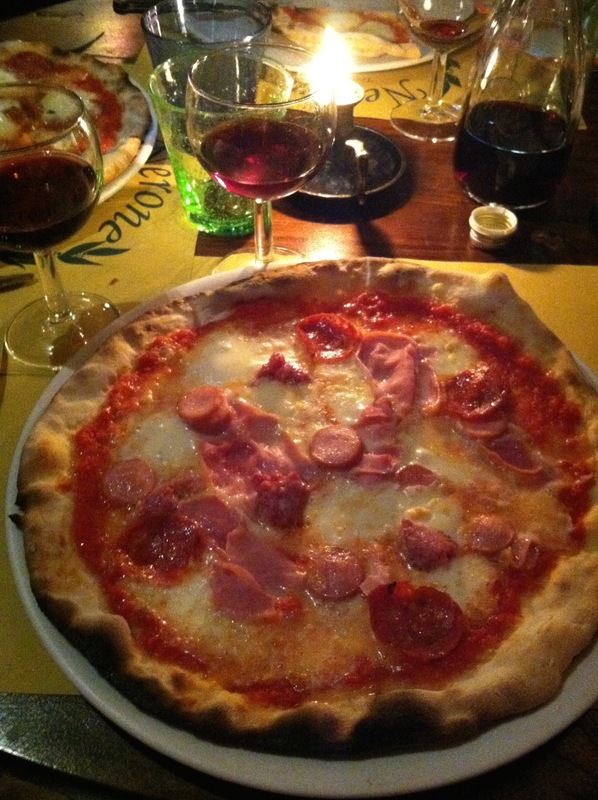 They might specialize in pizza but it was an unassuming dish of pure comfort that caught Austa’s attention. One night, she insisted I try the fettuccine Alfredo. Alfredo isn’t Italian and we’d all been warned we shouldn’t order it anywhere for fear of a cultural faux pas. This Alfredo seemed like an exception, though, because it had truffle oil. Rich, tantalizing, creamy, the Alfredo at Nerone completely captured my heart. I’ve never since found a dish of pasta with the same balance of pure luxury and edible delight. Aunt Valerie preparing some chicken cooked like porchetta! Italy may have an advantage in my Memory of Meals because I ate out an exorbitant amount, traveled a bunch, and got to try so many different dishes! One of which my aunt made for me in her teeny-tiny über European kitchen, when I visited her and my uncle’s hillside home in Trivigno. 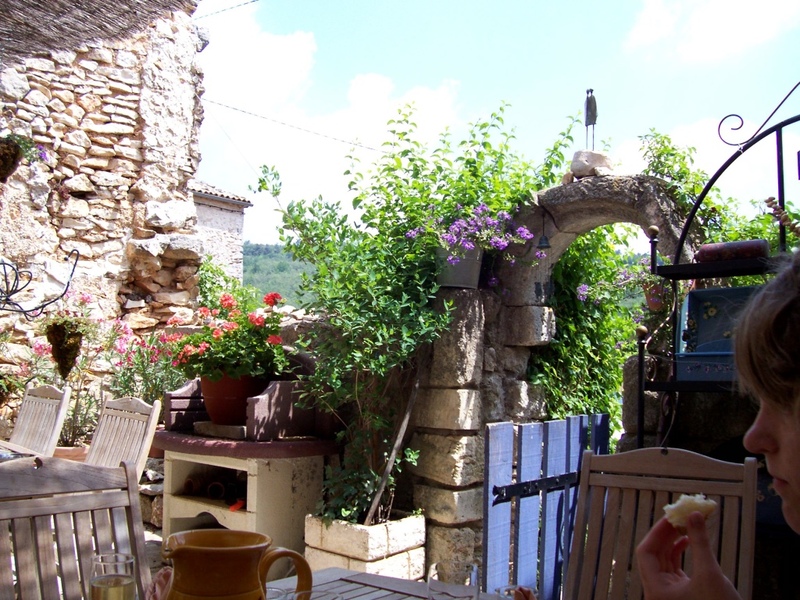 It wasn’t really one meal, or one taste, it was the entire experience over a weekend of delicious delicacies including cheese, salami, olives, and French toast that make it so memorable. 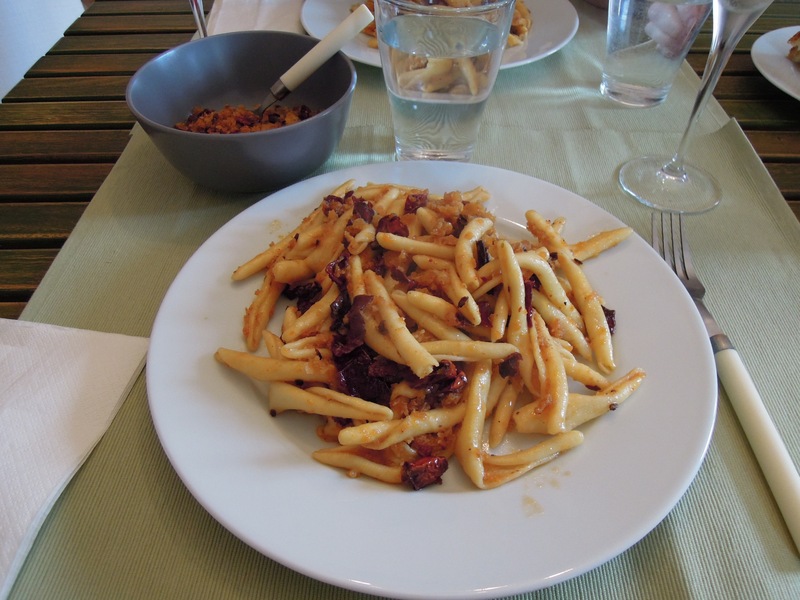 Specifically, though, it was a pasta dish – apparently a regional favorite in Basilicata – with a curled potato (?) pasta and a very particular and feisty pepper that only grows in the region. It is an incredibly simple dish, no complicated process except that the peppers will burn very quickly, but it had all the right kinds of flavor. It was intensely hearty. I probably ate three bowls. I was so overwhelmed by the meal, I didn’t take a picture. So here’s the closest I could find on the internet. Pasta has become a theme in this gastronomical adventure as the last dish on which I will dwell today is a fresh egg ravioli with ricotta mousse and truffle butter. When I asked how this delightfully unique creation was made, the waiter excitedly exclaimed, “it’ll change your life!” It’s been three years since my trip to Trivigno and it was in Denver, Colorado where I stumbled upon this monumental meal. Palettes, the Denver Art Museum’s restaurant and another reason it’s such a fine museum, chose to present four large fresh egg ravioli steeped in its magical and confusing sauce. 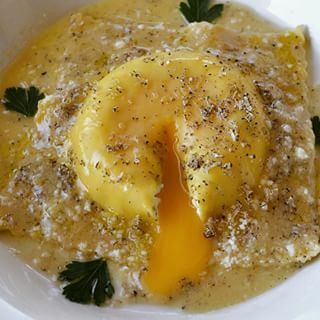 A nearly cooked egg inside a blanket of the freshest pasta with a layer of creamy and subtle ricotta was more a cacophony of flavors than a melody, but that’s what made it so outstanding. It was hearty and flavorful like my aunt’s pasta, rich and comforting like Nerone’s fettuccine, yet maintained the elegance and grace of Santa’s goat cheese-peach-lavender dessert. 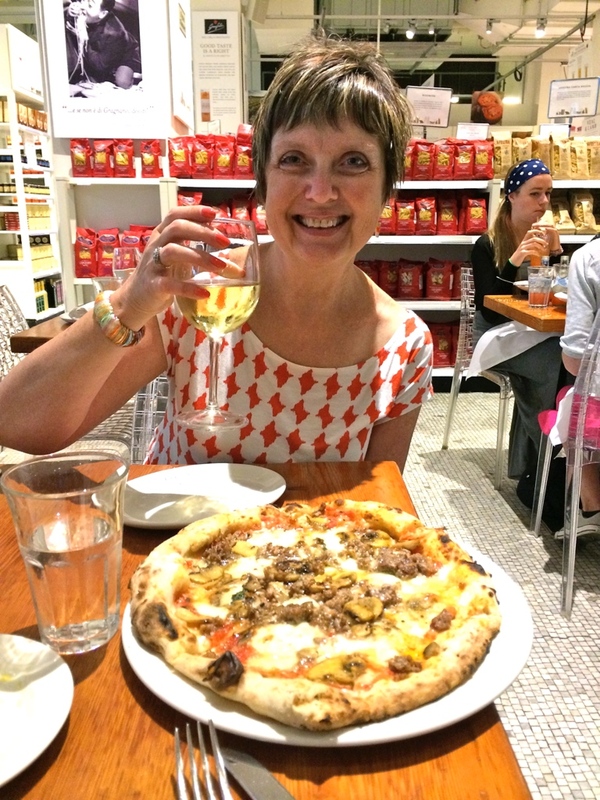 Mom enjoying some grub in NYC’s Eataly. It is these four meals that shine and sparkle in my memory, perhaps more for their attached experiences than the food itself. As I contemplated my culinary past, meals in New Orleans, Berlin, California, New York, London, Savannah, and Chicago called to me. My mouth waters whenever I see a picture of Café du Monde, but not for their beignets. I’m thinking about the crawfish and shrimp etouffee that’s right around the corner or the Po’Boys on Lake Pontchartrain. Likewise, no one can beat a brunch in Chicago or the beer in San Diego. I can’t even think about New York without remembering a strange Russian restaurant. Food is important. Food can change your life, even if it’s not a single meal. Maybe it’s the experience you have trying to hunt down a regional dish or the friends you make chopping garlic and cooking bacon together once a week. 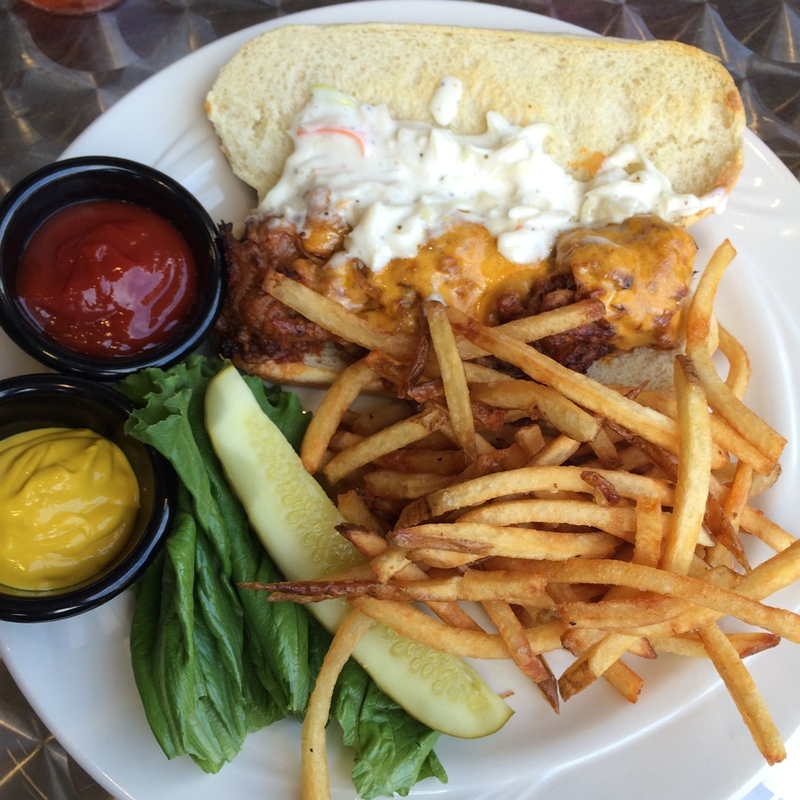 Food makes us happy and it sustains us; like photographs, a meal can bring memories rushing forward. Try new foods! You might just discover some soul.